Representatives from the event sponsors: The Wellmore crew, Suzanne Detar of the Daniel Island News, Amy Justis of CMIT Solutions, George Evanko of George Evanko Communications, Richard Jackson of JacksonBuilt Custom Homes, Sharon Cassidy of Sally Castengera’ s team at Daniel Island Real Estate. Kim Blank walks away with one of the sponsor prizes! 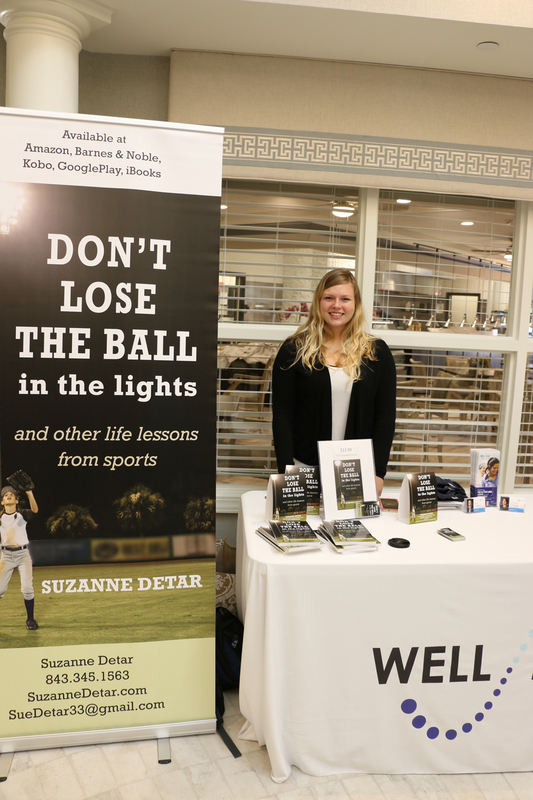 Daniel Island resident Cora Petyak sold multiple copies of Daniel Island News publisher Suzanne Detar’s book, Don’t Lose the Ball in the Lights and Other Life Lessons from Sports. 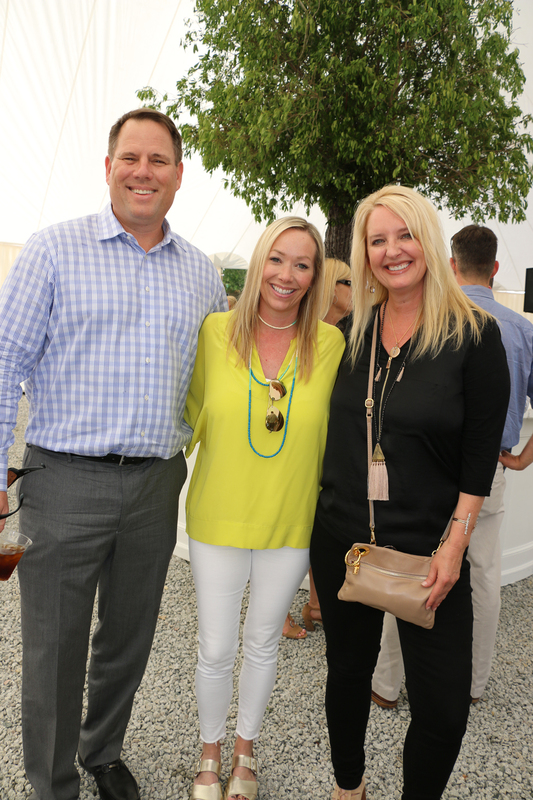 Commercial realtor Mark Erickson, interior decorator Hollis Erickson and Momentum Marketing principal Pam Hartley catch up at the party. 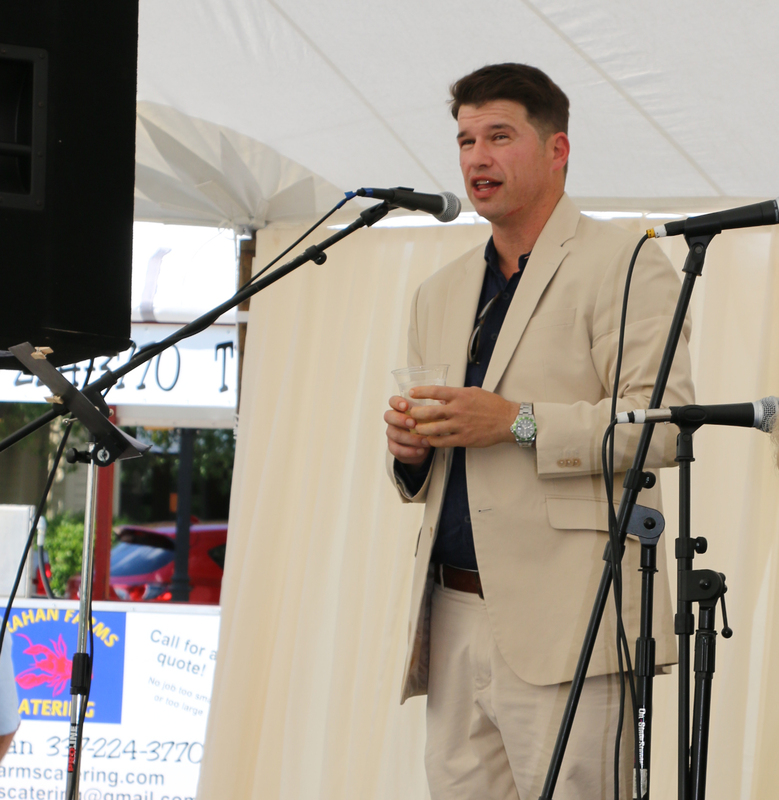 Meyer & Kapp Commercial realtors Fritz Meyer and Tim Wood. Phillip Manchester, a partner with S.L. 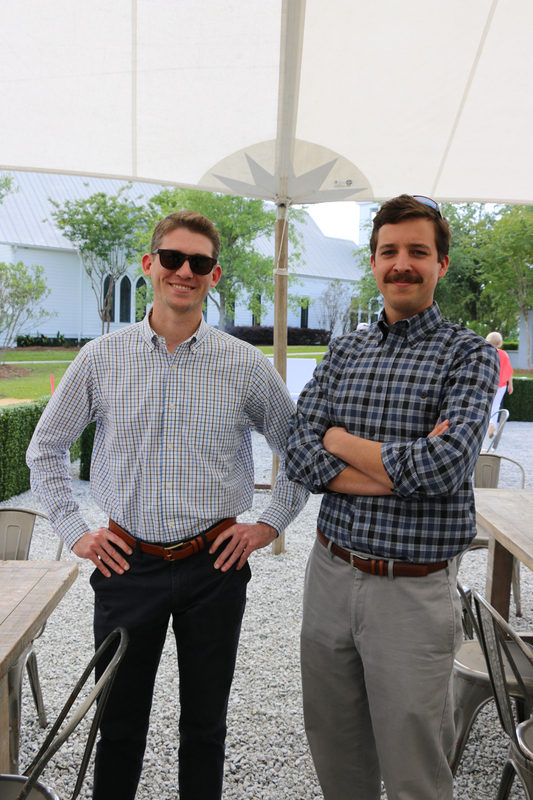 Shaw & Associates – the company developing 297 Seven Farms Drive - addresses a crowd of commercial realtors, local business owners, and friends at a party held on site to announce and explain the project.